Connecting the world’s best storytellers to companies that have a story to tell. 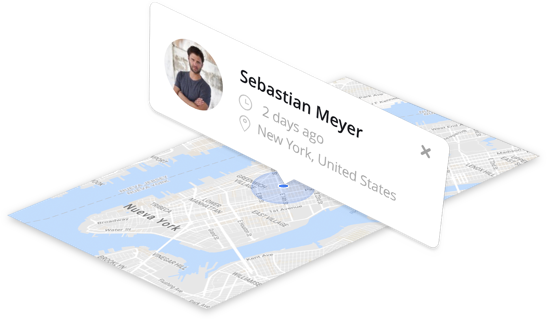 Blink automatically updates the location of Freelancers on the network - providing up-to-the-second knowledge of who’s available for a job. Communicate with Blink users, send project updates and build a production crew without leaving the app. Connect quickly with Blink’s most active users - find boots on the ground exactly when and where you need them. 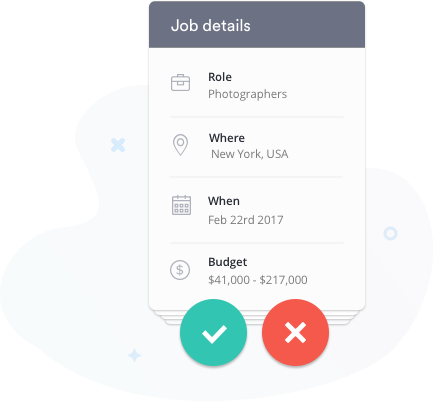 The briefs tool is the best way to send a job and its details to Blink’s network of creatives. Sit back and watch the responses roll in, then find the perfect fit. Users can easily add affiliations and titles, adding yet another gateway to discovering great creators. Blink is purpose-built by our product team to be the best on-demand production platform in the world. 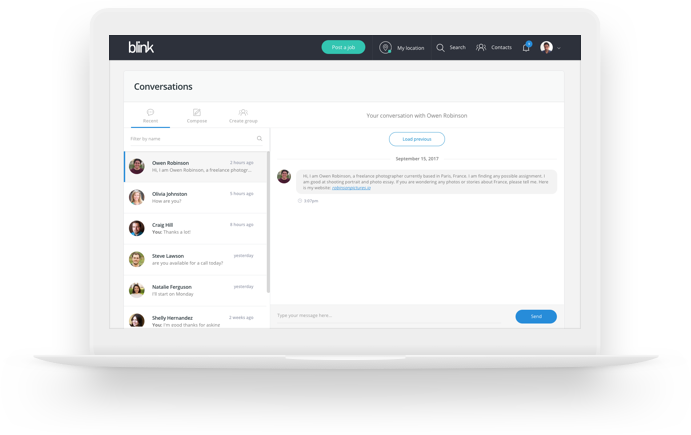 Blink’s central hub enables publishers and media agencies to build and manage teams of freelancers all over the world. Find the creators your project needs with a dynamic search tool, send out project details with the Briefs function, and communicate with your team through the chat function. We’re a worldwide network of filmmakers, photographers, social influencers and writers, brought together by a common bond. Become a part of our global network to connect with opportunities to create impactful content. Our world-class technology allows freelancers to find the best assignments based on their location, and it equips publishers with the ability to send briefs and manage local crews, worldwide. Blink works on desktop and mobile devices across all major web browsers. For the full experience, download our free mobile app.